Talk about inspiration overload! 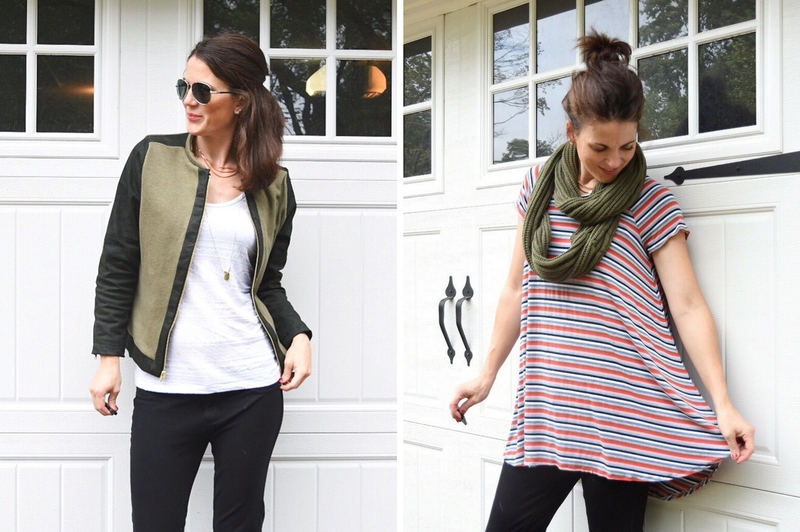 Last weekend we wrapped up two amazing weeks of fall sewing and style inspiration. Each seamstress selected fabrics from our fall collection and created their own unique look for fall. Our favorite part? Seeing each of their personalities shine through in their projects and their beautiful photos. Here is a look back at each of the stops. We have also included links to all of the patterns and fabrics used for easy reference all in one place! Revisit some of your favorite looks or discover one you maybe missed. Each season we kick things off on the Style Maker blog! This year we experimented with the return of the leisure suite, elevating a cozy sweatshirt and sweatpants with some unexpected fabric choices. Read all about it HERE. Next we visited Gabriela, designer behind Chalk and Notch patterns. 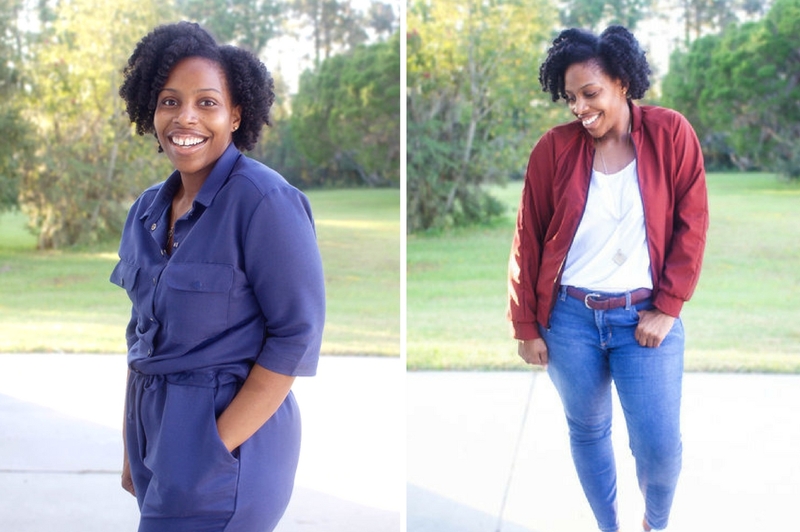 She took her fall sewing to the max and actually created her own mini capsule wardrobe. We can’t wait to see how she mixes and matches each piece this season! Learn more about it HERE. Essence of style! Leslie hit it out of the park with her killer moto-style jacket in cozy sweatshirt fleece and designer denim. Then, to top things off she wowed everyone with her stipe matching skills on her Ebony Tee for a second fall look. Read more about each HERE. 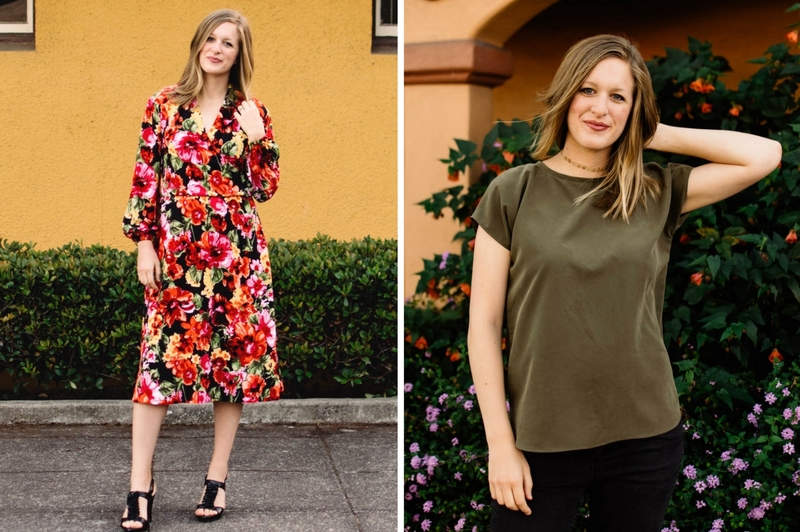 Looking for some great fall layers, Lara sewed up three wardrobe basics that she can mix with any number of other pieces all season long. Each piece is beautiful on its own, but aren’t they even more stunning together?! Learn more in her post HERE. 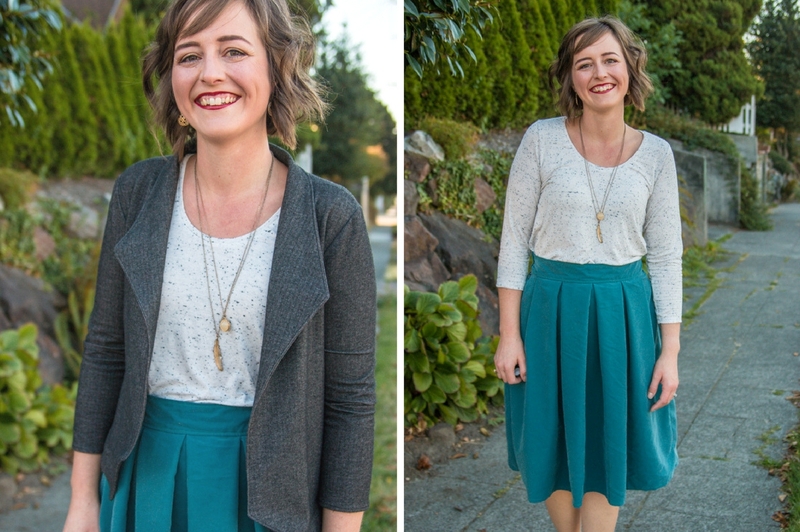 On Day 5 Tori, of The Doing Things Blog, shared two amazing fall looks in soft drapey rayons. 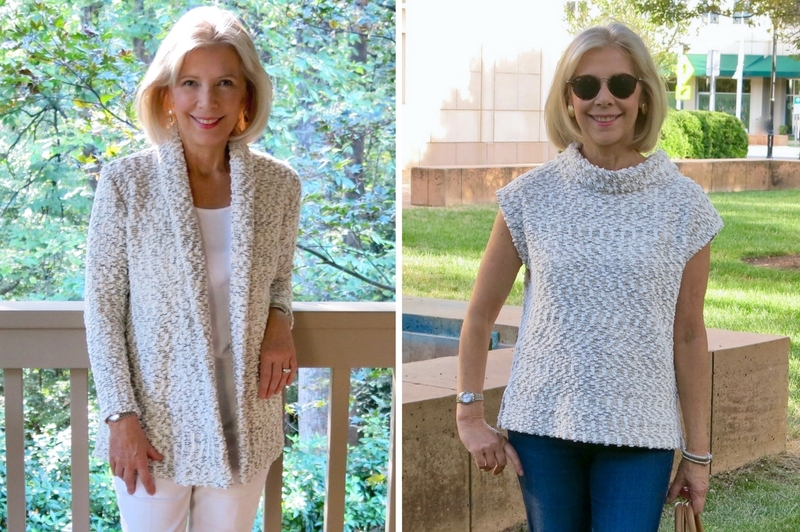 To ease into her fall sewing she started with a simple but stylish pullover top that she can easily dress up or down for whatever fall brings. For her second look, Tori turned things up a notch with this gorgeous wrap dress! Find out more about both looks HERE. 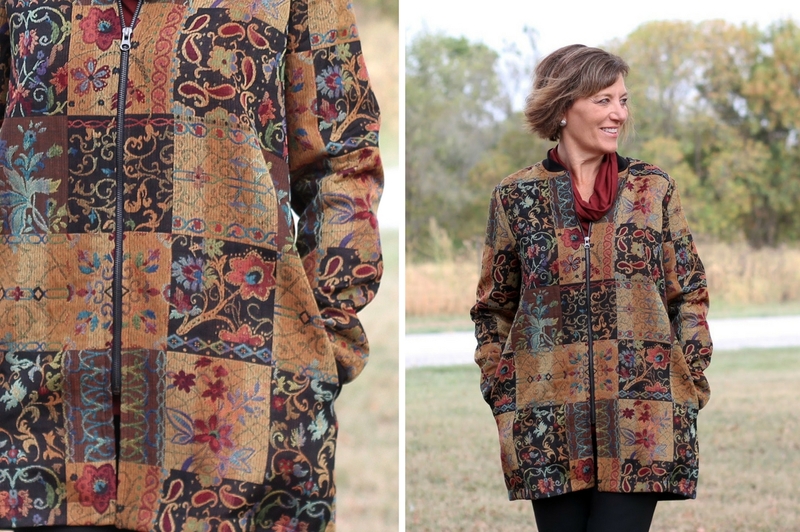 Next up Lori, of Girls in the Garden, wowed everyone with her pattern matching skills on this Vogue jacket. Such a cool use of this jacquard woven and aren’t the colors gorgeous? Read more about the extra details she included in her jacket and her matching knit top HERE. One of the favorite stops on the tour this season! Sarah, of Goodbye Valentino, sewed up this cozy boucle cardigan you can’t help but want to snuggle up in. She even had enough fabric left over to sew up a second look and we aren’t sure which we like better! Find out more in her post HERE. More fall layers! 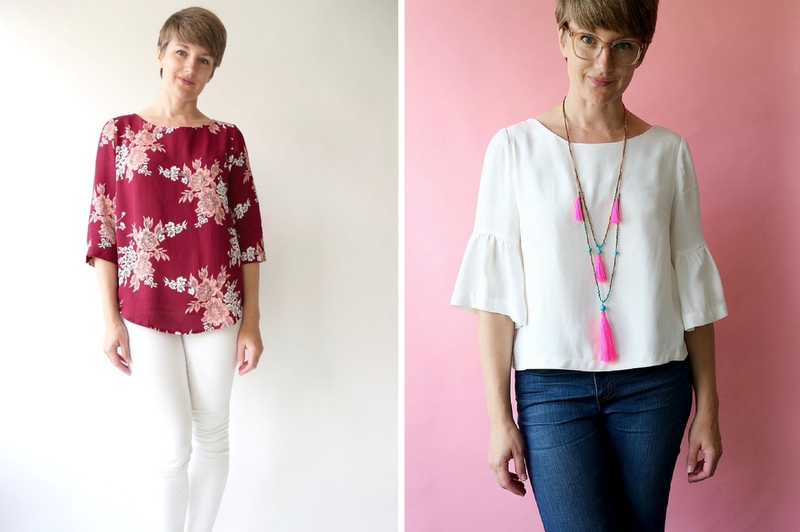 Kimberly, designer behind Straight Stitch Designs, sewed up three separates she can enjoy all season. She experimented with different colors and textures and the results are amazing! Check out more photos and get all the info on each piece HERE. 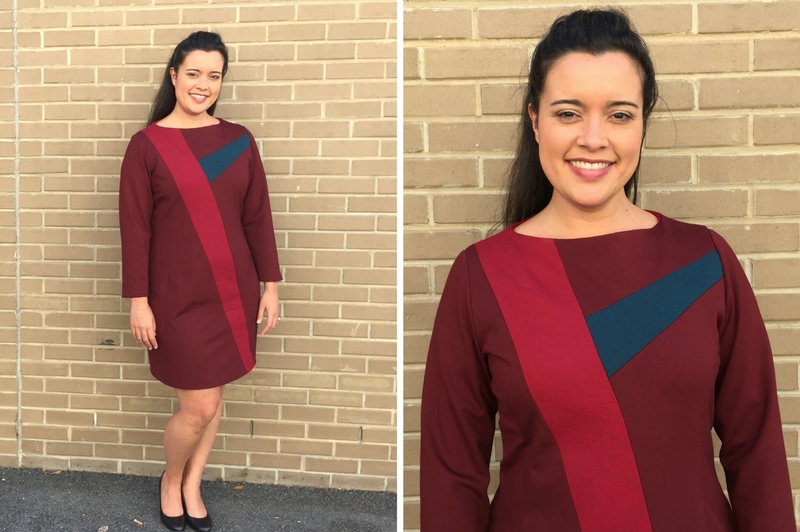 For Day 9 on the tour Lindsey, of Inside the Hem, shared her video post of this striking color blocked ponte dress. This color combo and graphic design are perfect for fall and doesn’t the unique construction look fun to sew? Get lots of tips and more info in her post HERE. Added bonus! In case you missed it, Lindsey also helped us launch our fall fabric collection with another one of her epic swatch review videos. Check it out HERE. Next up, Brittany shared two pieces perfect for her fun urban style! Both pattern/fabric combinations are spot on and those colors are gorgeous. Learn more in her written/video post HERE. For Day 11 we jumped across the Atlantic and visited Fleurine, of Sew MarieFleur, amid the incredible Norwegian scenery! 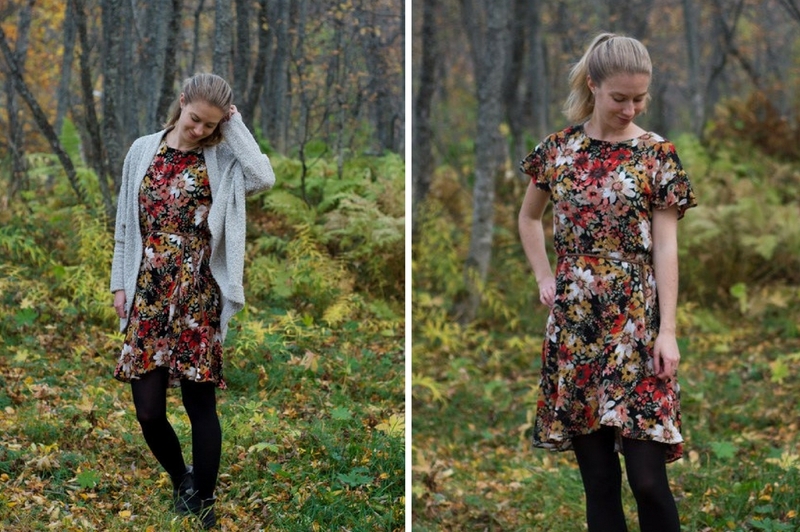 She shared a gorgeous floral dress full of the autumn colors you can’t help but love this season. And doesn’t her cocoon cardigan look cozy?! 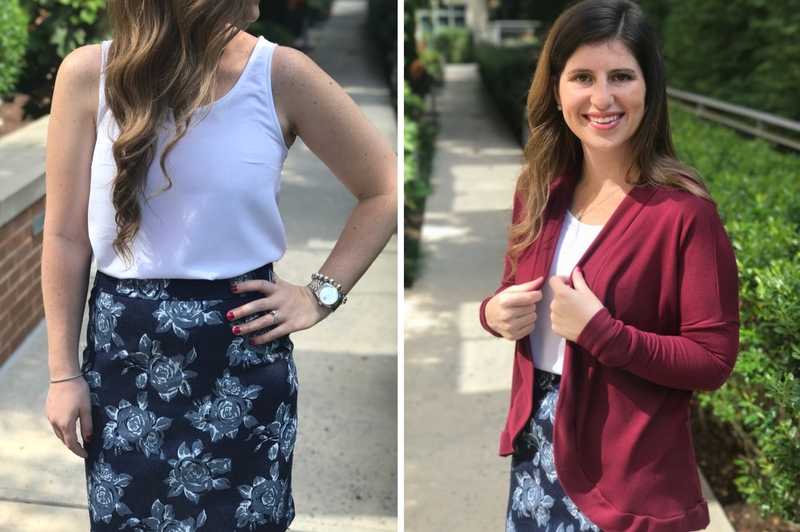 Get lots of great tips on how to make both patterns even better for the cooler weather in her post HERE. 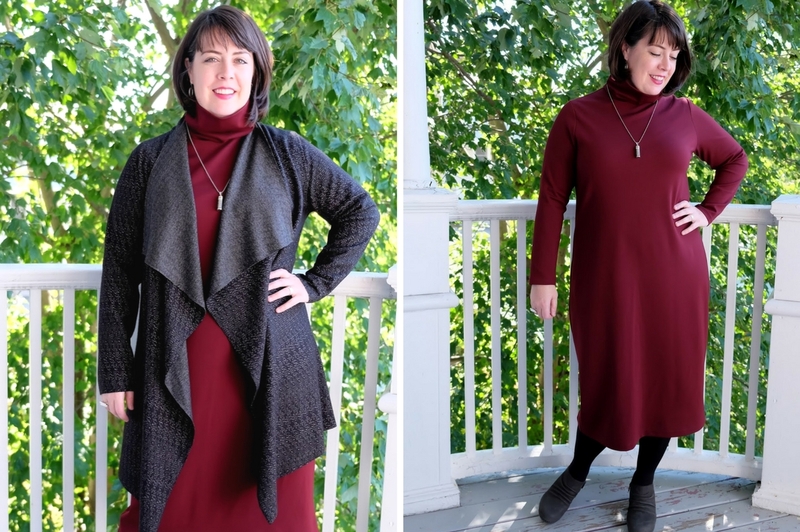 Excited to be sewing for “true” fall weather again, Meg shared this amazing funnel neck dress. For extra warmth in the cold New England winters, she paired it with this stunning drape front jacket. Great pieces on their own and even better together! Read more in her post HERE. Last but not least! 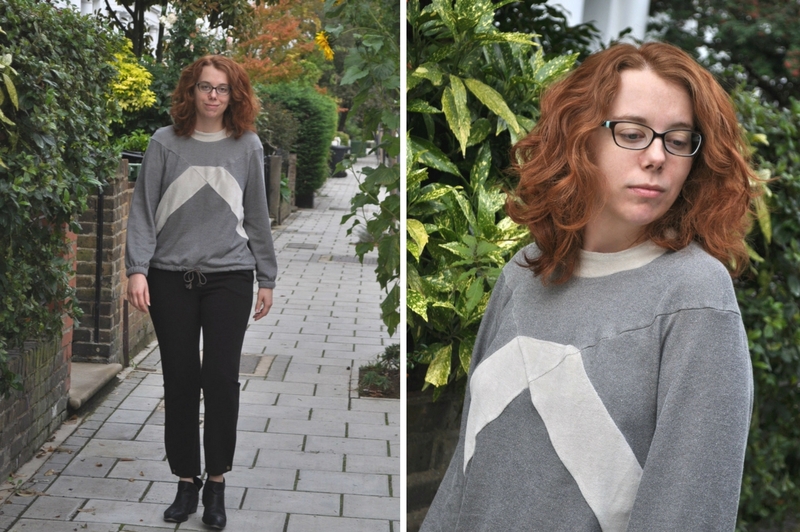 Rae, founder of Made by Rae, shared two variations on her Beatrix pullover. The first is a straight forward take on the pattern but it shines in this gorgeous wine colored rayon crepe. The second offers playful bell sleeves in elegant winter white. Learn more about each look in her posts HERE and HERE. A huge thank you goes to all the amazing seamstresses that joined us for our style tour this season! We can’t help but admire all of your talents and creativity and we are so happy you could join us. To everyone that followed along with us, we can’t thank you enough for all your support! Hopefully you got some ideas, found some new patterns or just got inspired to sew this season. P.S. Spring Style Tour 2018 coming in March!